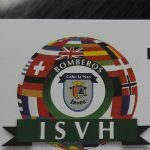 Several members of the Board of the Masonic Homes of Valencia were recently invited to the Autumn Fiesta of the ISVH Bomberos Voluntarios de Balcon Al Mar in Javea, The Volunteer Fire Service is based at Balcon al Mar, and the Board members visited to view the new items purchased from the donations made to the fire fighters, by the Masonic Homes of Valencia, following the terrible fires last year. 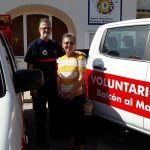 A lot of their, very expensive, equipment was lost, or badly damaged, in those fires which needed replacing and the Masonic Homes stepped in to help out as much as possible. 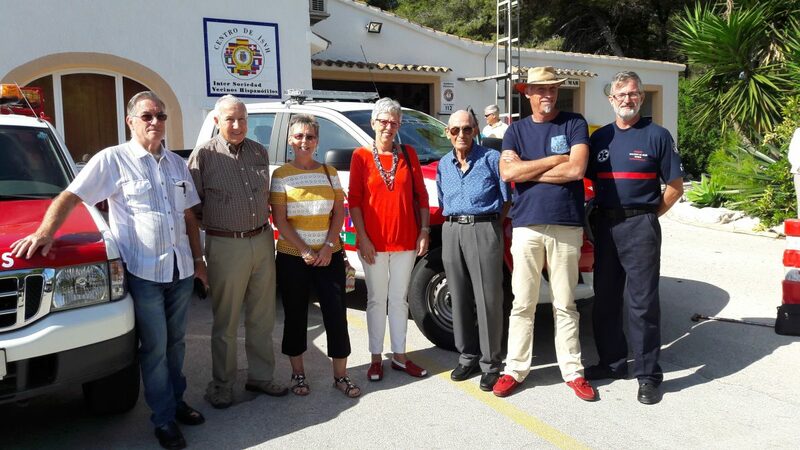 They were shown around the premises of the Fire Station and given explanations of the many different types of new equipment, including the fire protected clothing, boots, helmets and the essential breathing equipment. Outside, on the forecourt, they were also shown the new fire engine, and the very varied assortment of equipment carried. These fire fighters, every one a volunteer, do a fantastic job to protect and save all of us. Remember, when we are all running away from fires, these brave people are running into them. We would be lost without them and the thanks of all of us must be given humbly and gratefully to each and every one. 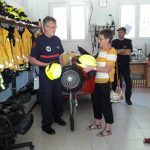 The photos show the President Jenny Hart listening to the Station Commander explaining the new type of Helmet, together with the new managers of the Moraira Charity Shop, there is also a group photo of some of the members of the Board who visited, and a photo of the new, fully equipped, fire engine.